Sammy Spider yearns to celebrate Shabbat. He watches Josh set the festive table, and is especially fascinated when Mrs. Shapiro braids the challah. As the family gather's to welcome Shabbat, Sammy discovers that something unexpected has happened. 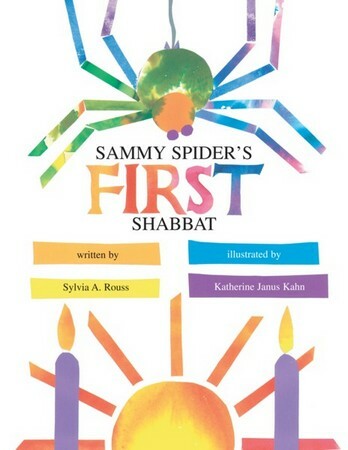 To hear from author Sylvia A. Rouss and illustrator Katherine Janus Kahn about the creation of Sammy Spider, watch this video from Kar-Ben eBook partner Open Road Media. "This sweet story, told in very simple language, accurately portrays this Jewish ritual. . . Large, bright, mixed-media cut-paper illustrations enhance the childlike mood. . . A gentle story for any collection."